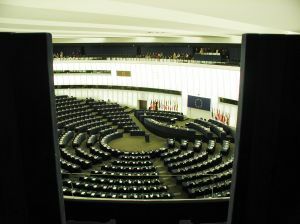 The members of the European Parliament’s Committee on the Environment, Public Health and Food Safety (ENVI) voted on a draft motion for a resolution on the EU’s alcohol strategy on the 29th of January. By publishing a strategy in 2006, the European Union has tried to reduce alcohol-related harm in Europe to help national governments, and other stakeholders, to coordinate their action. However, the alcohol strategy was not updated by the European Commission in 2013, as originally intended. The Juncker Commission, which took office on 1 November 2014, has so far not indicated that a new strategy is being considered. But leading MEPs from the ENVI Committee, such as the Socialists & Democrats’s (S&D) Glenis Willmott, say that the Commission has not given a satisfactory reason for why the review of the alcohol strategy wasn’t published last year as promised.